When we talk about Britain’s housing crisis, the problems which receive the most media airtime are undoubtedly the struggle that would-be homeowners face with getting on the housing ladder compared to previous generations, or the increasing cost of renting in the private rented sector. While these are very serious challenges – as IF has argued at length – there is an even more extreme crisis facing households at the really sharp end of Britain’s housing market: those who end up without a roof over their heads at all. 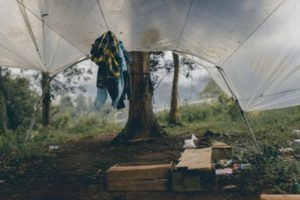 A new report from the National Audit Office (NAO) has emphasised just how severe the problem of homelessness has become in England, as the number of people being declared homeless has risen dramatically over recent years. Why is homelessness getting worse? When you hear the word “homeless”, you probably imagine someone who’s sleeping rough on a street corner, but rough sleepers are actually a small minority of the homeless population. Most of the homeless people in England actually live in “temporary accommodation” – an umbrella term which includes places like bedsits, hostels and bed and breakfasts, where people who’ve declared themselves statutorily homeless are housed by their local council while a more permanent address is found for them. The NAO compiled data which lay bare the extent of the problem. Over the past six years, the number of households living in temporary accommodation has risen by 60%, to 77,240, which include 120,540 children. Temporary accommodation is often overcrowded or of low quality, and the fact that it is not intended to be permanent (although a growing number of families have remained stuck in it for years because of the lack of alternative options) means that families can be moved against their will. Over a quarter (28%) of households who declare themselves homeless are now provided with temporary accommodation outside the local authority where they lived previously; some London boroughs have received attention in recent years for rehousing homeless families in completely different parts of the UK because of a lack of available temporary accommodation in the capital, which is bound to have a disruptive impact on work and education. In addition to its undeniable human cost, the NAO estimates that homelessness costs the public purse at least £1 billion per year, almost 85% of which reflects the cost of renting temporary accommodation. By far the most significant explanation for the growing homelessness problem in recent years is the rising number of private renters who are being made homeless when an assured shorthold tenancy agreement with a landlord expires and they find they have nowhere else to go. Since the coalition government came to power in 2010, the termination of shorthold tenancies has accounted for 74% of the growth in households requiring temporary accommodation; this reason now accounts for almost a third of homelessness declarations overall, compared with barely a tenth at the beginning of this period. There are several explanations for this. Firstly, rents have risen more quickly than salaries for many workers in London and other large cities, which means that someone can suddenly find they can’t afford to rent anywhere else in the same area when their existing tenancy agreement comes to an end; and secondly, as the NAO argues, the government’s attempts to rein in the cost of housing benefit by restricting the amount someone can claim to cover the cost of their private rent has compounded this problem, as rents in many areas have raced ahead of the amount which housing benefit will cover. Overall, this report should act as a warning to policy-makers that if the housing market continues to become less and less affordable for ordinary workers, the number of people who will have no other option than to declare themselves homeless will only increase.